Meteor shower itself occurs because the earth passes through a passing celestial body and rock dust is carried into the Earth’s atmosphere. This celestial body runs into the earth because it also orbits into the sun. Almost all of the comet’s dust was burned with a heat of 1,650 degrees Celsius when entering the atmosphere. The moment when this dust is burning is what we see as a meteor shower on Earth. For meteor dust with a rather large size it will burn longer and look like a fireball is even strung to be accompanied by the sound of explosions from the land. “Meteor shower is caused by the earth crossing with the dust of comet residues which also orbit the sun,” explained the Head of the Aviation and Space Agency (LAPAN) Thomas Djamaluddin when contacted by CNNIndonesia.com on Friday (10/8). He also explained that when most of the dust from comets burned together in the Earth’s atmosphere, then the meteor shower reached its peak. “The peak density of the dust cluster sometimes changes slightly due to the dynamics of its orbit. As a result, the peak of the meteor shower sometimes changes slightly. The peak shift is usually only a few hours,” he said. As a result of the motion of the revolution, the date of the encounter of the earth. With these celestial bodies is usually almost always its moment every year. But the dynamics of the orbit of comets that meet the earth. It can cause the peak of meteor shower to change every year. 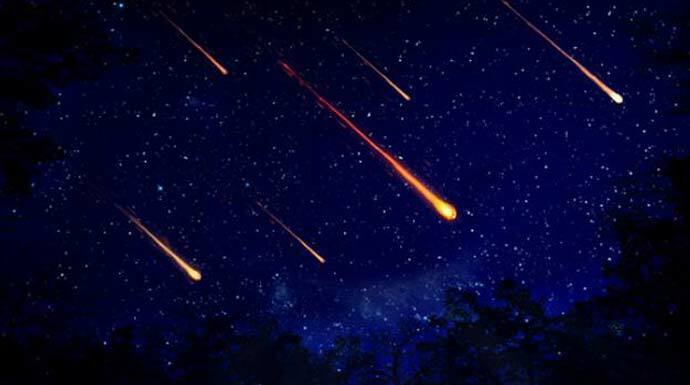 The name of the meteor shower itself is given from the point of the meteor shower event. Based on certain constellations. For example Perseids meteor shower is obtained because meteors seem to originate from the constellation of Perseus.